HomeAll Posts...Make 2018 the year you back British farming! In my books, farming is one of the most important jobs in the whole world, and in this country we are so lucky to have so many amazing producers right on our door step. It is a subject that we hold really closely to our hearts here on the farm and it is so important, now more than ever that we start to fly the flag and make 2018 the year we back British farming! There are so many positives to buying British products. We have the highest standards and regulations in the entire world. You can ensure traceability, you have fewer food miles and you get products that are farmed openly and honestly. 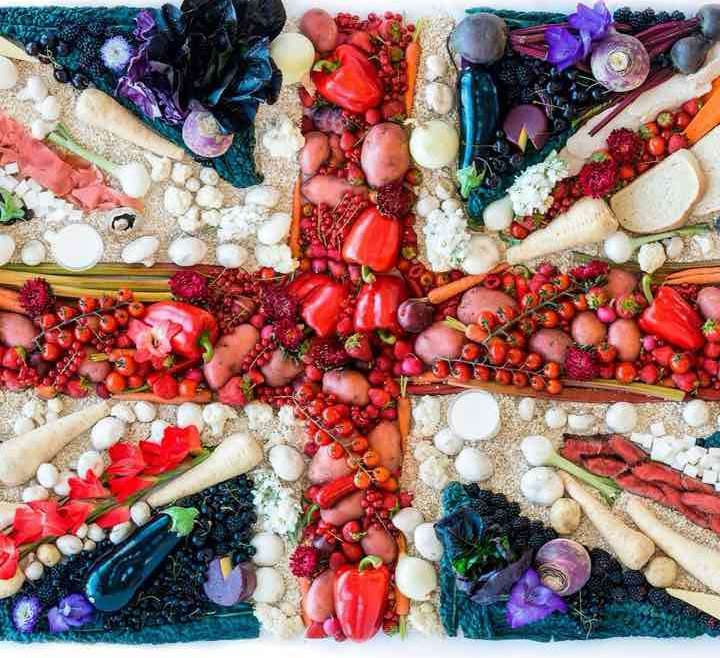 The positives go on and on and on, and they all contribute to us having confidence in the British products that we can eat and drink every single day. Don’t get me wrong, shopping behaviours and people’s attitudes towards the products that they are buying are altering and changes are slowly happening. The NFU have a campaign that is completely dedicated to the subject that I am writing about now, there have been multiple surveys concluding that people are genuinely interested in where their food is coming from and that they do want the opportunity to ask questions. We are also starting to see gradual changes within the supermarkets. All of these things are definitely a step in the right direction however, meeting people day to day we feel that there is still a disconnection and a lack of knowledge on farming and the agricultural industry. This does worry us and it is so important that we support British farming in any way we can. It is an industry that we should never take for granted, as it is made up of smaller family run farms and producers, that work hard every single day to produce products openly and honestly with care and compassion. Ask yourself when you next go into the supermarkets why such a large proportion of the shelving is dedicated to products from all over the world, when they can be produced right on our doorstep. There are amazing people doing amazing things in this country who need our support, because the sad truth is that if we do not start to make a stand now, then that farm shop you sometimes drive past on the weekends or like us, the family farm who you can come and buy your eggs from every single day of the year will disappear. One day it will be too late and once they are gone they are never going to be coming back. Let’s show our local farmers and producers that we appreciate them and the best way to do that is buy taking an interest and buying their products. Together we can do something amazing and make 2018 the year we back British farming!